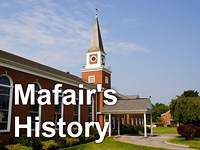 "A Call to Change" is the message given by Emory & Henry President Dr. Rosalind Reichard at Mafair UMC on April 21, 2013. The service featured the Emory & Henry Brass. The message begins at approximately the 27 minute mark.